This diplexer boasts low insertion loss, high return loss, and high rejection across the specific frequencies on both channels. The Diplexer contains a high pass from common to Channel 2 with a Lowpass from common to Channel 1. The combined response allows for consistent Return Loss to be greater than 17 dB across the lowpass passband. The high pass passband has a bit more flexibility with the passband reaching out to 12.8 GHz, due to the extension in the high pass passband the return loss has a minor degradation from being greater than 17 dB to being greater than 14 dB past 6 GHz. The combined response of the diplexer allows for low insertion loss to be less than 0.5 dBa below 6 GHz and less than 1.0 dBa from 6 GHz and higher based on the channel specifications. 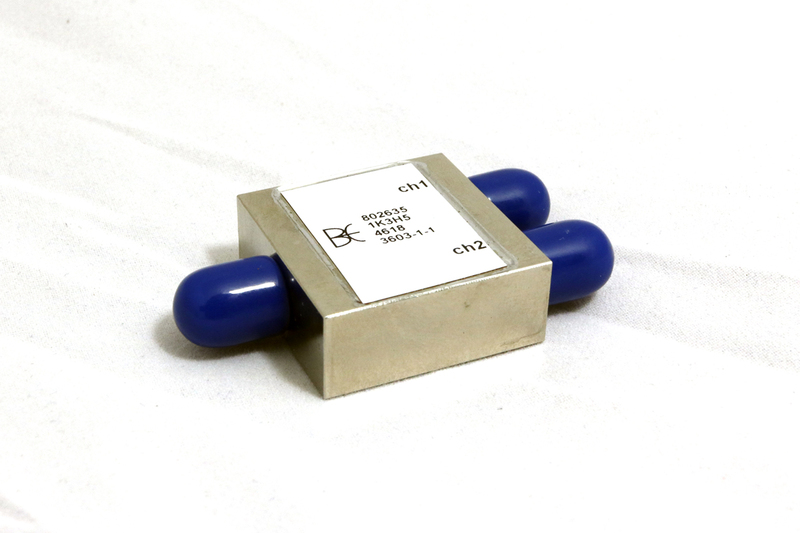 This Diplexer can also sustain rejection to be greater than 40 dBc through the entire filter, while being greater than 50 and 60 dBc at certain frequency ranges.